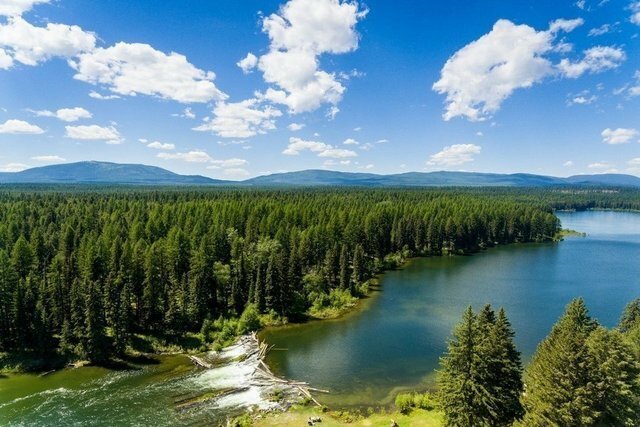 Sensational in every way, this legacy holding consists of approximately 150 acres with shared boundaries to over a mile of dazzling Lower Stillwater Lake and Stillwater River and seemingly infinite Montana State Trust Land. Accessed by private bridge, the ranch captures the essence of a rural and western way of life. The existing network of interior road provides immediate access to everything the property offers. Water is abundant and recreational opportunities are endless. Offerings like this don't come around often, a true ONE-OF-ONE estate holding allowing a privileged buyer to preserve a legacy for future generations. Call Kelly Laabs (406)890-5451 or your real estate professional.